The stock market is a dangerous place to be right now. Watching VIX spiked from 17 to 50+ then crashing back to 30 within two days can certainly cause a cardiac arrest or two. What’s even worse is that investors took this little dip as a buying opportunity throwing more good money at this deformed market. On Tuesday, U.S. stocks rebounded to post the biggest rally in 15 months. We have discussed many times that stocks have a long way to go before any normalcy may be restored. On that note, let’s move to the oil/gasoline market instead. Crude oil is not immune to this global equity selloff. U.S. West Texas Intermediate (WTI) crude ended Tuesday’s session at $63.39, which is the lowest in two weeks. 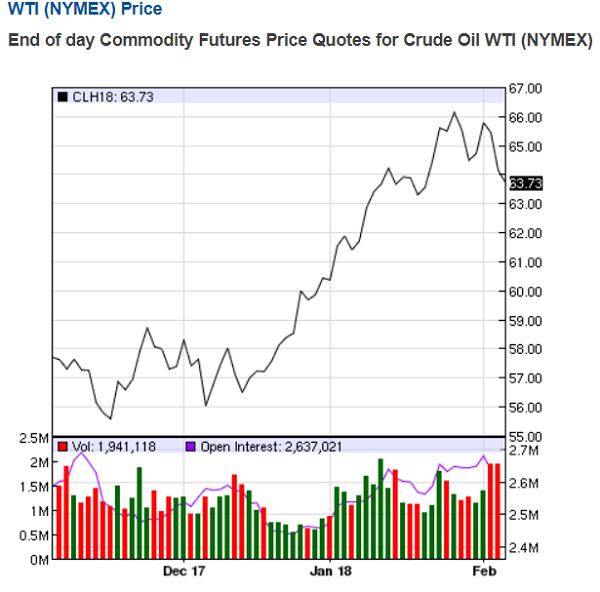 Crude oil has actually been on a rally with WTI topping $65/b for the first time in more than three years on Jan. 24 after data showed continuing drawdown of crude storage, while Brent also climbed to around $70, the highest point since Dec. 5, 2014. Another contributing factor to stronger oil prices is a weaker U.S. dollar. The dollar index hit a three-year-low two weeks ago after US Treasury Secretary Mnuchin said a weaker greenback is “good” for the country. Global commodities such as crude oil are priced in dollar, so a lower dollar usually pushes up the commodity price. The recent oil price recovery has some analysts believing $100 oil is in the cards. According to London-based consultancy Energy Aspects, a slump in new production outside the U.S. shale patch in 2019 could help boost Brent above $100/b next year. The Brent-WTI price spread averaged around $3.33/b in 2017. In 2016, the average spread was less than $1/b. This implies WTI should be close to $100 in the same scenario. Well, many things can and will mess up the $100 price prospect. The more conspicuous one is increasing supply and stockpile, of course. Market 101, higher prices incentivize more production. The recent rally in crude prices has led to riving increased investment in Oil & Gas Production facilities and Infrastructure fueling more drilling rigs and oil production particularly in the shale industry. Many poorly managed smaller shale oil producers with high debt that should have gone bankrupt after the oil crash in 2014 are still hanging in with banks reluctant to write off massive losses still extending life lines. People seem to have forgotten that surging supplies of American shale producers played a major role in the price collapse of 2014. Higher oil prices also will put a dent in demand. How long can this inventory rebalancing go even with the oil cartel product cut? 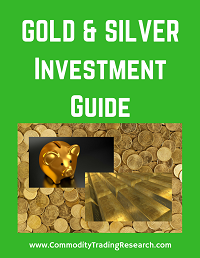 Does It Matter Where the Glut Sits? The current crude price action makes fundamental sense as supply is dwindling with OPEC oil production control in place. 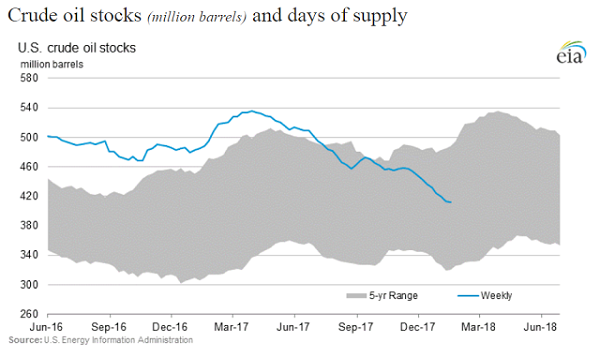 Last week, US Energy Information Administration (EIA) reported the tenth straight weekly drop in U.S. stockpiles of crude oil. U.S. crude total inventory stood at 411.6 million barrels, the lowest since February 2015. However, the same logic cannot be applied to the gasoline market. Gasoline futures (RBOB) climb despite increasing inventory. 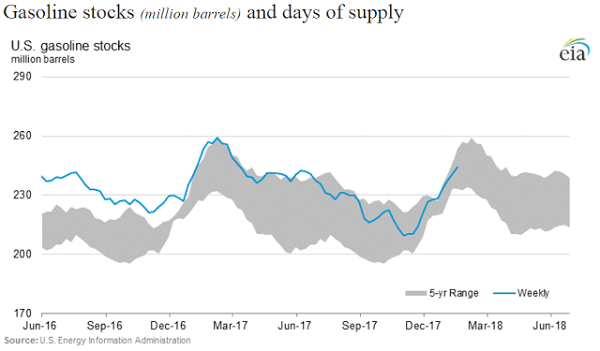 The latest EIA reports indicated gasoline inventories actually rose by 3.1 million barrels and stocks of distillate fuels, which include diesel, were up by 639,000 barrels. In fact, the current gasoline stock level is hovering around the 5-year high. And according to analysts FGE, fuel stocks in Europe, Singapore and the United States built by some 27.5 million barrels in the first two weeks of 2018.
International Energy Agency data shows that in the fourth quarter of 2017, refinery runs hit a record 81.5 million barrels per day (bpd). 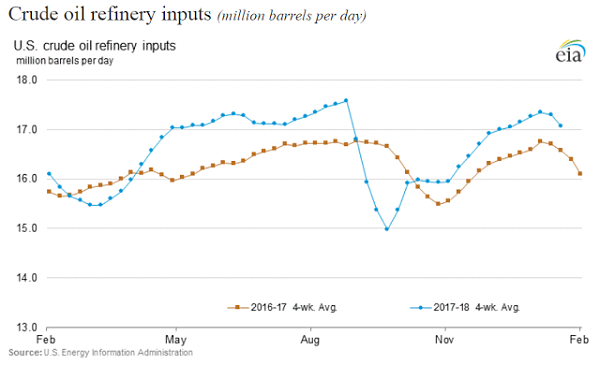 So the decline in the oil inventory actually comes from higher refinery draw and utilization to make petroleum products that ended up sitting in the gasoline storage. In other words, the glut in crude oil has now turned into surplus in gasoline. The disparity between the oil and gasoline inventory actually paints a picture of a weak oil market as well as the broader economy. Higher oil price also hurt refining margins. Reuters reported profit margins in key refining hubs dropped sharply in recent weeks – by over 50% in the U.S. Gulf Coast and northwest Europe, Reuters data shows, by as much as over 50% in the U.S. Gulf Coast and northwest Europe. In addition, there’s a bunch of refinery turnaround scheduled in spring increasing expectations that some refiners will reduce operating rates. That would mean less drawdown of crude inventory thus putting downward pressure on crude prices. Crude oil market has many players/dynamics to consider and could turn volatile on any geopolitical events. Most oil bears seem to rely on EVs and natural gas taking over the world, but we are pretty far from it right now. The oil bulls seem to think China and the rest of the world will perpetually crank out 8% GDP growth per year, which is totally unrealistic and wishful thinking. Central banks QE spree will come to an end with the world facing increasing risk of inflation and recession. With this macro backdrop, I think the-lower-for-longer scenario still holds for oil and the scenario of $100 oil in 2019 seems overly optimistic. Note: This article originally appeared at EconMatters. The author of the article is a contributor to EconMatters.com.